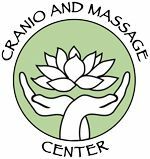 At the Cranio and Massage Center, we gravitate towards a more therapeutic massage treatment; enabling the body to heal and repair as it was meant to, by releasing tension and restrictions in contracted muscles and restricted fascia. The released muscle can then elongate and is no longer pulling on the boney landmarks it's attached to, which caused pain, discomfort and dysfunction in the first place. This allows the body to function at its optimum. 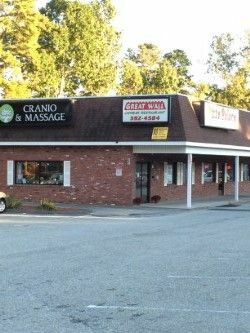 Bodywork is very effective in treating chronic neck, shoulder, and back issues. It relieves headaches, migraines, sinus problems, ear imbalances and can even release the tense muscles in the neck that can cause snoring, sleep apnea and TMJ. People who have 'bad backs' are usually quite surprised at how effective therapeutic massage can be in alleviating the strains and constant ache they thought they had to live with. We can help with sciatica, leg, hip or glute pain by determining the lines of tension which usually leads to the cause of the pain. Bodywork benefits every body. It increases blood flow, improves circulation, it releases restrictions, and allows our bodies to function at it's optimum, to live comfortably and heal as it was meant to. One of our goals is to educate people about muscles and their bodies, so we host health talks at local libraries, malls and places of employment, senior centers, retirement communities and anywhere that we are invited! Our Receptionist is normally available Tuesday, Thursday & Fridays 11:30-3:30 or please leave us a message and we'll be sure to call you back! We hope you find the information that you are looking for, but if you have any questions, please don't hesitate to call or email us!